OhGizmo! Review: The Prima Vaporizer | OhGizmo! By Carole Smith on 04/05/16 • Leave a comment! 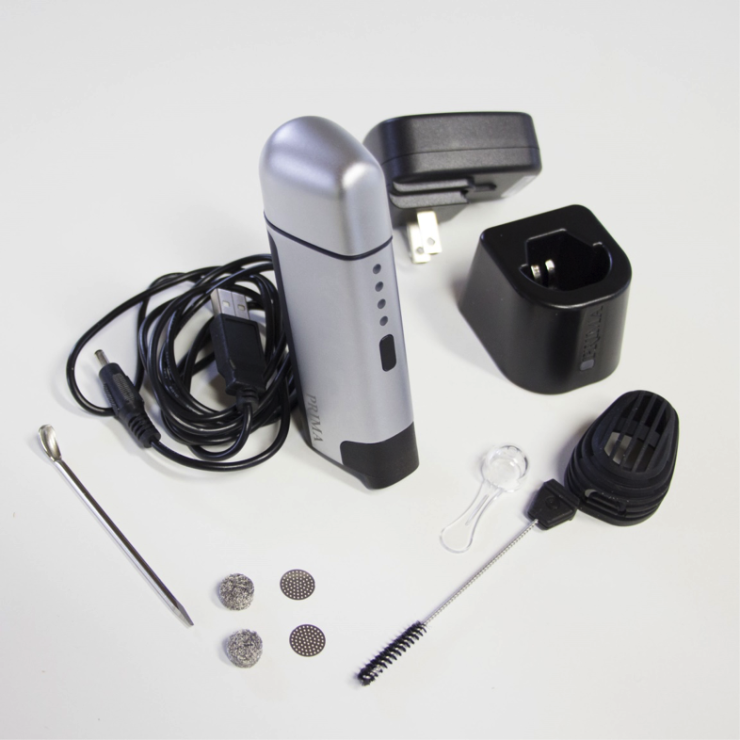 Today I am fortunate enough to be reviewing another of the latest generation of portable vaporizers, the Vapir Prima. Many people who are content with their original vapes tend to jump to the conclusion that these newer vaporizers are just marketing gimmicks and ways for companies to make more money. Now sometimes this is true but after testing the Prima I can confidently say that the Vapir Prima is truly a beast of a unit, offering some exciting features that really can’t be found combined in any other vaporizer on the market. One thing that I like about the Prima, for example, is the easily removable vapor pathway that allows for convenient cleaning and maximum vapor freshness. On the flipside the unit does get hotter than the average vaporizer out there. 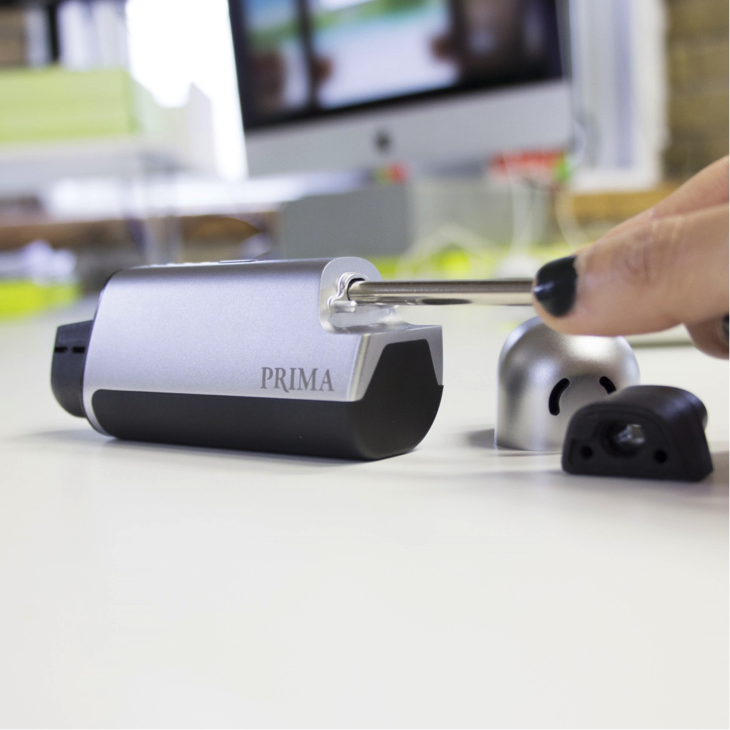 The design of the Prima is simple, but it still looks stylish and functions extremely well. The body is made from brushed aluminum, with the heating chamber on one side and the mouthpiece on the other. The heating chamber has a cover that keeps things neat and discreet, and it also has holes that allow air to be pulled into the unit to be heated before passing over your chosen material. According to Vapesterdam, the Prima, has been long in the making and meant to bring Vapir back up to its glory days as one of the industry leaders. The fact that the heating chamber is on the opposite side of the vaporizer compared to the mouthpiece means that vapor has a long distance to travel (and therefore cool down) before reaching your throat and lungs. The vapor pathway between these two points is made of stainless steel, and Vapir made it incredibly easy to slide this pathway out for cleaning. 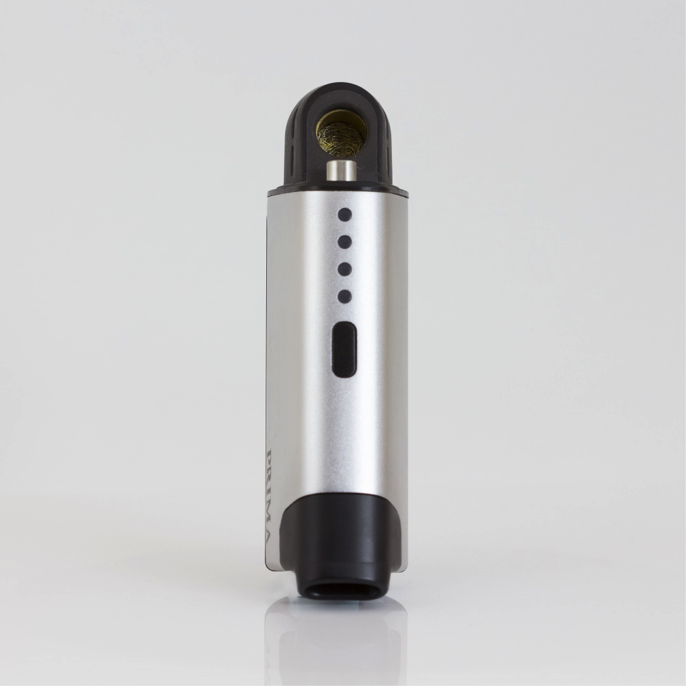 The metal tube is accessed after removing the mouthpiece, easily sliding out and back in. This may not seem like a big deal to people ahead of time, but if you want to understand why this is a great feature, go take a look at a stem or whip from another vaporizer, or even at the body of a bong. Buildup can, and does, occur in any device like this, and removing this buildup is necessary to maintain vapor freshness and optimal flavor. Vapir isn’t the first to make a pathway removable, but they succeeded in making the process as easy as possible. 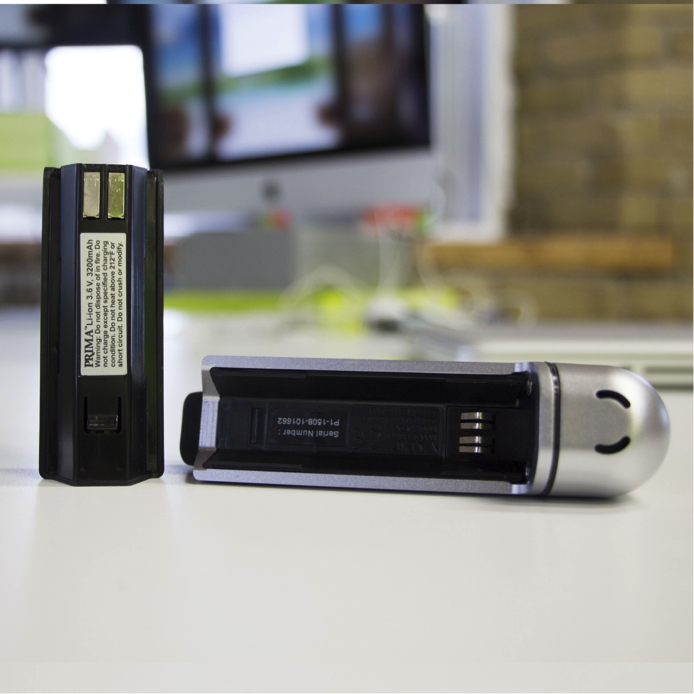 The battery for the Prima slides on and off, and is charged on a stand that is provided by Vapir. This charging stand connects via a USB cord to the power source of your choice, and a wall socket adapter is also included for convenient charging. Battery life could be better as our experience suggests that a single charge should last right around an hour of continuous use. This can vary in either direction depending on the temperature setting chosen. I’d like to see manufacturers pushing for longer battery lives, but the fact that batteries can easily be swapped makes up for this fact. If you are interested in achieving this additional performance, consider investing in an extra because the unit only comes with one. Alternatively you can look into a vaporizer with close to triple the battery life that Knowtechie called out on outperforming more expensive units like this one. There are plenty of other little accessories that Vapir includes with the Prima as well. There is a scoop that is used for loading dried herbs into the chamber, and surprisingly it’s actually a pretty handy little tool. There’s also a cleaning brush that can also be used to plug the mouthpiece if you are carrying the unit around in your pocket to prevent debris from falling inside. There’s even a silicon cap that goes over the heater cover that prevents the unit from getting too hot to hold. The final things you’ll find in the box are replacement screens for the heating chamber and inserts that allow the unit to use concentrates and oils. 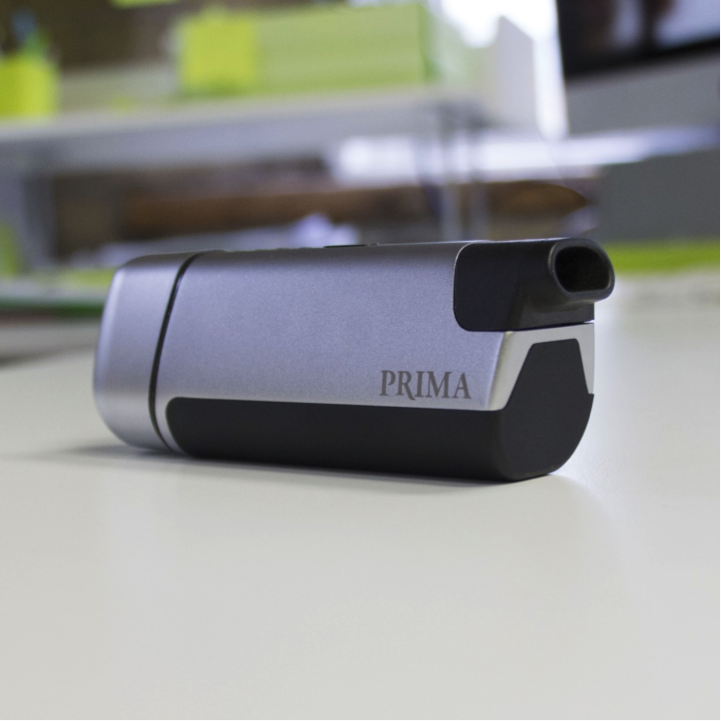 We’re constantly amazed at how easy vaporizers are getting to use, and the Prima is no exception. Vapir went with a 1-button design, which seems to be a popular choice these days. The unit easy turns on by pressing and holding the button, then the temperature options are cycled through with additional presses of the button. The device has lights to let you know what level you are choosing, and these lights will change from orange to green as the device heats. The temperature controls are not exact, but Vapir does give you a range that each level will fall within in the hand book. Overall, very easy and pleasant to set up and use. We’ve saved the most important aspect for last, as you’re all probably eager to learn how the vapor is by now. Overall, I think that the Prima’s vapor falls in the very good to excellent range and compared to let’s say a desktop vaporizer like the Arizer Extreme Q, quite comparable despite the fact that it is a portable. Not quite a 10/10, but well above most competitors. The vapor was consistent, smooth and very flavorful. The long vapor pathway succeeds at cooling the vapor down, and the flavor is pure without any metallic or plastic tastes getting in the way of an enjoyable experience. Really the only issue that can be raised (and the reason we hesitate to say its performance was excellent) is the fact that the temperature range is limited. There are times and situations where big, thick clouds are desired, and the Prima seems to fall a bit short in this regard as it only heats up to 400° F. It will more than get the job done, but there is an upper limit that may be a problem for some people. This is a truly awesome vape! Outside a few, minor downsides this unit performs great. The design is stylish and durable. The vapor is smooth, flavorful and strong. The icing and cherry on this cake are the removable vapor pathway and battery. With all this in mind, we’d be surprised if this isn’t a fan favorite for some time to come. Thanks for reading and be sure to check out our other vaporizer reviews here, if you want to see what else is available!